I’m embarrassed to admit that this album was buried in my wish list for quite some time before I actually took the plunge. Probably due to the fact I had only heard one or two tracks from it. (I am trying to minimise the amount of one-track albums in my collection). Fear not, this is definitely not one of those albums. I cannot take this album out of my CD player, in fact it has taken me some time to reach track 18 (or track 25 (the last track after all the gaps), the replay button on my remote is worn out. This husband and wife team have produced a ‘Real Soul Album’, which encompasses the spirit of unity, love and life laced in an old school vibe. It is so refreshing to hear real instrumentation instead of the all to popular ‘painting music by numbers’, which tends to cancel out longevity and real classics which fortunately this album has many of. 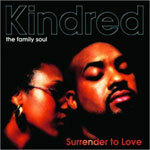 Though I missed Kindred perform live at the Jazz café in London recently, this album begins with a live intro, all later tracks are studio recorded but you can still imagine couples embracing and swaying to the vibe with proceeding tracks such as ‘Surrender to love’, Rhythm of life’ and Far away’. 'Real Soul for the 21st century! 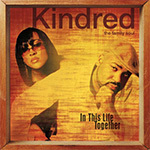 "Thanks for keeping it real Kindred!" 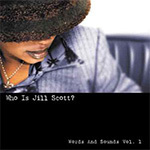 Click Jill Scott's album to read her biography and reviews.